No type of spring related problem is too complex for our team to handle. Since these components are integral to the operation of your garage door, they must be at an excellent condition at all times. We can make sure of that. The best way to ensure your springs remain functional and safe to use is with regular lubrication and adjustment. This will make their operation smooth and efficient, and will prevent your door from getting unbalanced. If, during our maintenance appointments, our experts will discover that your springs are getting worn out, we'll replace them on the spot, thus preventing a very dangerous accident. 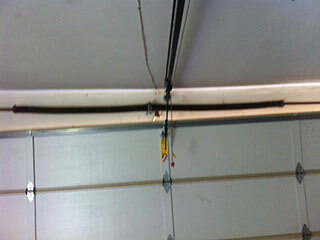 While all garage door springs serve a similar purpose, there are two different types of them. Torsion springs operate by twisting and unwinding in order to support the weight of the door panels. The nature of their operation makes them more durable, and therefore more capable of bearing heavier weights. They are also considered the safer option, as they are less likely to go whipping around your garage when they break. Extension springs, on the other hand, contract and stretch in order to counterbalance the door's weight. They are the older of the two types, and are considered the more dangerous option to use. Regardless of which type you have, count on our technicians for any broken spring repair you may need. You must never attempt to handle any spring related issue by yourself. These components are too dangerous for you to try and attempt any DIY. Instead, contact our experts at Garage Door Repair Gurnee as soon as possible. Our company has been providing local homeowners with excellent garage door services for many years now. We can repair every possible spring or opener related problem, install new doors and perform regular maintenance on your existing model. When you need professional assistance there's no one better to call than our expert technicians. Check out the rest of our website to see what we have to offer. Thank you for choosing Garage Door Repair Gurnee! One of our experts will be in touch soon. Feel free to browse our website for FAQ, tips and more useful information in the meantime!